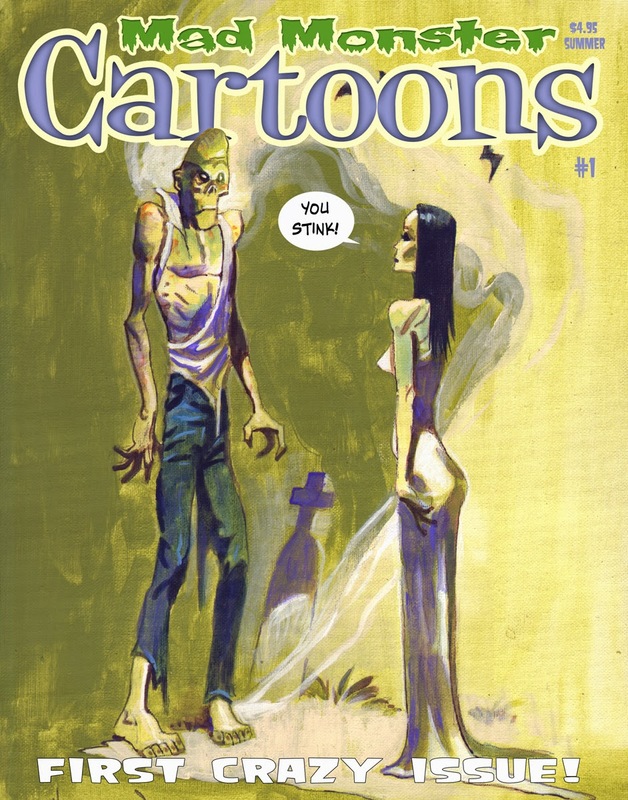 I'm developing several new publications at the moment, the above tryout cover is a sort of parasitic twin on Bloke's Terrible TOMB of Terror called Mad Monster Cartoons. Will it be an economic failure? I sure hope so, that way I'll know I did good. 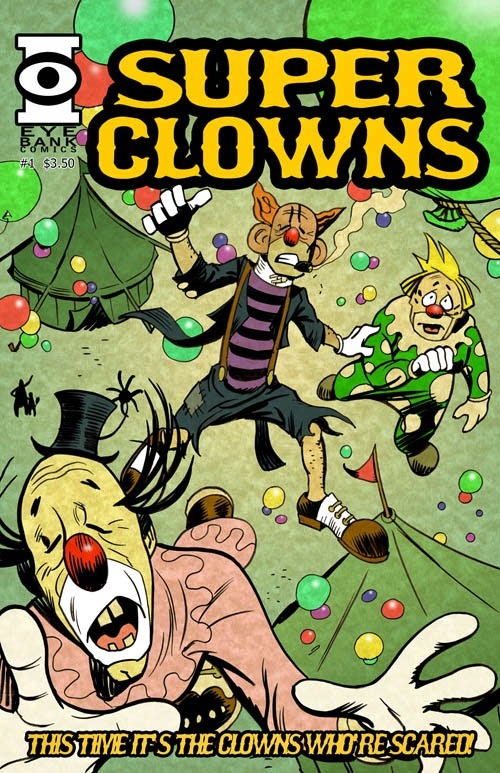 Super Clowns #1 an example of a fine artistic achievement & terrible seller. 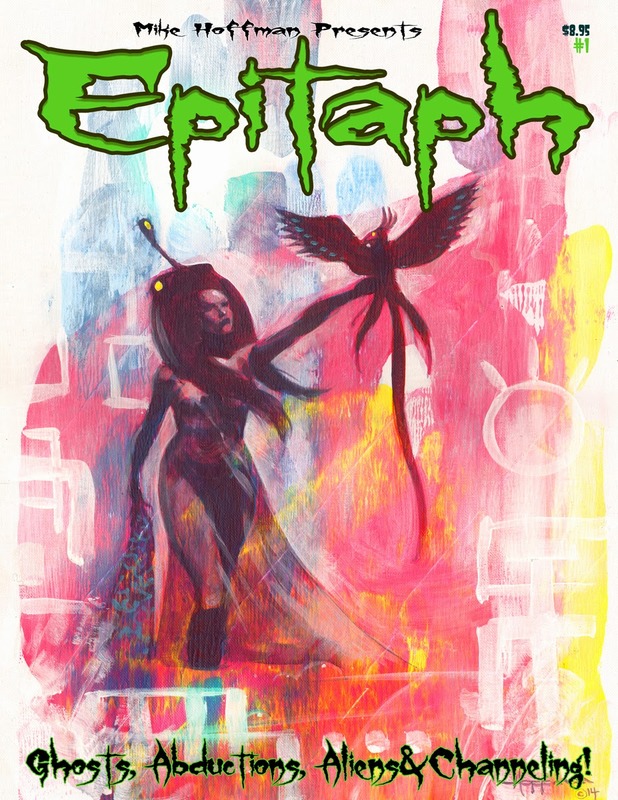 Also planned is a sort of psychological/New Age Horror mag called Epitaph. It's a place for stories too bizarre for TOMB, with subjects like Ghosts, Channeling, PSI, "The Shift" and so on. If you don't know what The Shift is, I encourage you to look into it. We is all shifting, boss. A unique home for The New Weird. AND, Hoffman's hired a few folks to help out around the studio, so production will probably be increasing. So what took me so long? Too many hats! Does the above magazine concept have a future? Tell me about it HERE.